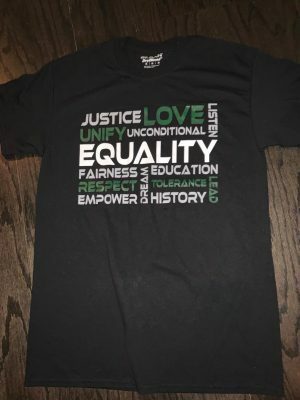 These t-shirts with designs promoting equality were put into staff mailboxes in the Granite Bay High School office. Amidst tension due to issues of racism on campus, the Granite Bay High School basketball program has come up with a way to unite the entire school. 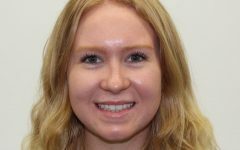 Two seniors on the girls varsity basketball team, Sydney Herrenschmidt and Peyton Mitcheom, spearheaded the project when basketball coach and English teacher Jason Sitterud suggested that the basketball program do something to ameliorate negative repercussions of recent racist remarks. One day after practice, Sitterud asked the team what they wanted to do about the situation, as many players on the team were greatly affected. Talking about the incidents had not been enough to amend the feelings they had brought upon members of the team. “We said we could either talk about the problem, or do something about the problem,” Sitterud said. Mitcheom and Herrenschmidt suggested creating a t-shirt promoting equality, and went forth with a design done in GBHS colors. “Our goal is to offer them to the staff first, and then order more so students can get them as well,” Herrenschmidt said. 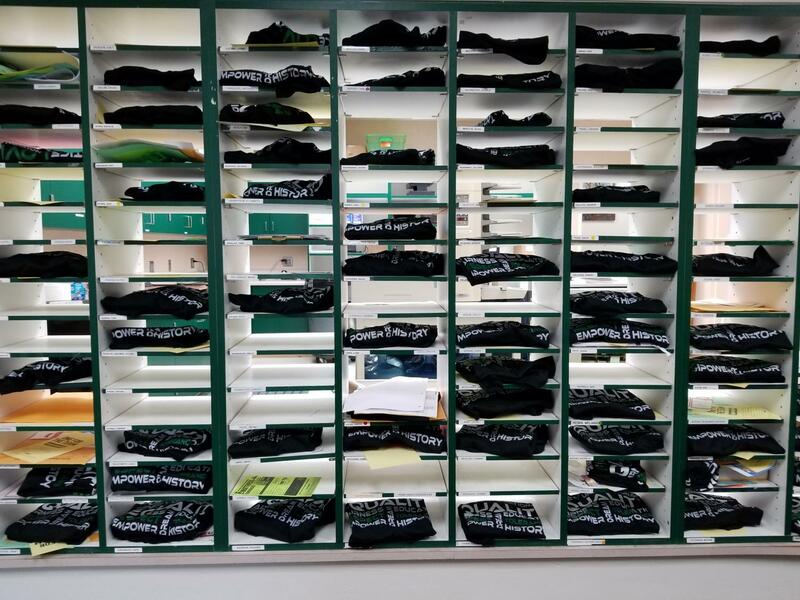 Ideally, the basketball program hopes at least half the student body will buy a shirt. “I hope (the shirts) educate people, because some people can be ignorant when it comes to the topic of race,” Mitcheom said. “If they know that saying things can have a large impact on people I think it will spread awareness,” Mitcheom said. The main purpose of the shirts is to counteract the negative effects the racist incidents had on students by spreading a positive message of inclusivity. 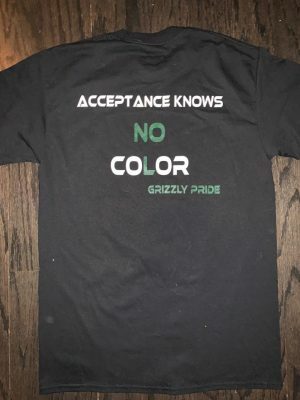 The front of the t-shirt is in Grizzly colors and sports a word collage that the basketball program hopes promotes awareness and equality. Here is the back of the t-shirts that were first given to faculty members. Making the t-shirts has been an important learning experience for both Mitcheom and Herrenschmidt as well. Sitterud is proud of the team and the two girls for making a difference. “I think things are always more powerful when they’re student-driven rather than teacher-driven,” Sitterud said. The t-shirts will hopefully be a way that will help encompass all people on campus. “Hopefully students won’t just wear them, but actually upon the message and be consciously aware of what’s going on,” Sitterud said.